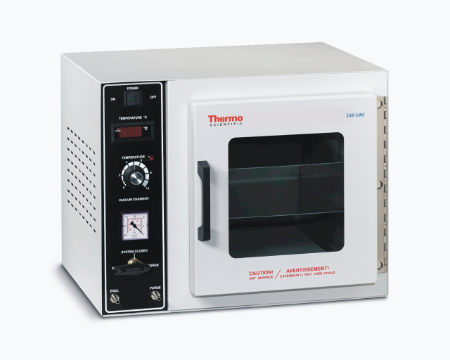 Achieve maximum temperatures of 220°C (428°F) with Thermo Scientific™ Vacuum Ovens, while benefiting from two control configurations and display options. These ovens feature independent vacuum and purge needle valves. Radiant warm-wall heating system optimizes uniformity and conserves chamber space for drying, curing, vacuum embedding and plating applications. Vacuum fittings require 0.25in. (0.6cm) I.D. tubing.